You’ve come to the right place! 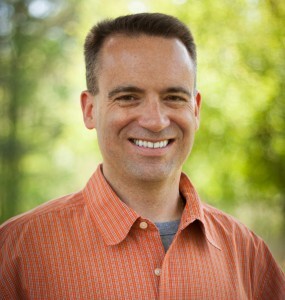 My name is Brent Peterson, an Acuity Certified Expert (ACE) based in Richmond, Virginia and helping clients worldwide. Acuity is a great online scheduling tool, but like any powerful software (here are other recommended web resources), Acuity Scheduling can get a little complicated. When Acuity Scheduling is configured strategically, it works really well for your business growth. Whether you need a little Acuity Scheduling help (e.g. appointment options are not displaying correctly) or you need a lot of Acuity Scheduling help (e.g. complete business setup), I’m here to help. I’ve helped clients worldwide with their business web strategies. In a world where everyone claims to be an expert, Brent is the real deal. At short notice and in just one online session, he was able to rectify the mess that I had been left with by another Acuity ‘specialist’ and restore my hope of actually finalising my important business scheduler. Brent is a very patient, calm and warm person whose relational skills are a key part of his offerings and make working together a pleasure. I can recommend him highly. 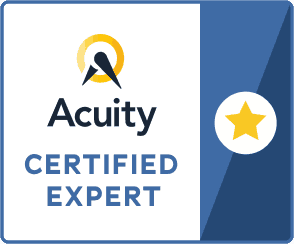 In addition to being certified to deliver Acuity Scheduling help as an ACE Business Strategist and Set-up Ninja, I’m also a PMI Certified Project Management Professional (PMP) and Copyblogger Certified Content Marketer. What does this mean for you for Acuity Scheduling help? It means you will get Acuity Scheduling help from someone who is really good at managing both strategic and technical steps. You will receive guidance that grows your business through the web. How much is your Acuity Scheduling help? Initial consultations for clients worldwide are only $125 USD. Need more Acuity Scheduling help? Projects one month or longer are handled via a client-favorable monthly retainer model at a rate of $595/month. There are no contracts to sign and work can be paused or closed at any time. Your consultation investment of $125 can be credited toward the first-month retainer. Full Acuity Scheduling account setup projects are typically one month in duration. Clients can have longer-term projects managed via Teamwork Projects software at no additional cost (Teamwork is also used extensively for other Website Design Services). Project touchpoints via phone/Zoom are also offered every other week for longer term projects. Click here to schedule your Acuity Consultation from anywhere in the world. Months from now, you’ll be amazed at what you learned and accomplished because of the professional Acuity Scheduling help you reached out for today. You are welcome to use the Contact Page for direct inquiries via email.